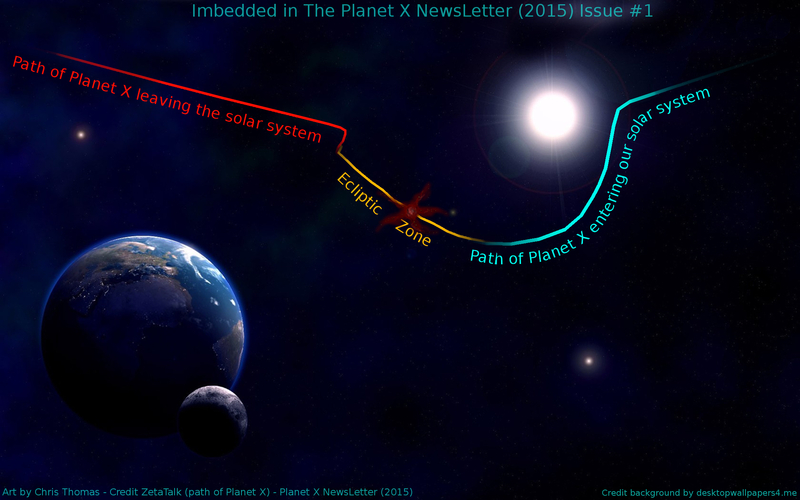 Back in January of 2010 I decided to produce a newsletter explaining Planet X and the Pole-Shift to people who could benefit from such an overview. Since I was primarily focused on ZetaTalk at the time, I decided that a simplified version of ZetaTalk would be helpful, as I had found that many people seem to be confused on the subject, especially since the Planet X disinformation cover-up is so effective. The intention was to keep the newsletter recipients up-to-date regarding the procession of Planet X to the Pole-Shift. I also explained the many subtleties of Planet X, it’s history, it’s effects on geology and human cultures, some covert political-Pole-Shift readiness moves, how the Planet X cover-up works, report on crop circles and other aspects of how Planet X has put it’s stamp on Earth. I produced 18 issues in 18 months and concluded the series in July of 2011. A few months later I started my Facebook group and this blog site some while later. A little over a week ago, it was driven home to me that Facebook was not a stable platform for exposing the truth about Planet X: I was indirectly warned by a black ops agent against posting ZetaTalk-based stories in one of the groups I am a member of (by-the-way, the story that triggered the warning is the opening story in this issue). This warning was confirmed to me by an intuitive process called: a “waking dream”. During a waking dream, you are fully awake. I’ll cover this sometime in a future piece in the newsletter as it is an excellent tool to use in preparations for the Pole-Shift. 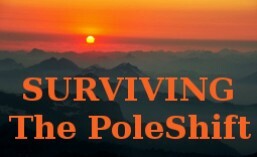 Consequently I have decided to reprize my Planet X NewsLetter to diversify my work in bringing knowledge about Planet X and the coming Pole-Shift to the public. Over the last few years, however, I have developed my own insight on matters ZetaTalk and Planet X. I no longer have a single lens view on Earth changes due to the nearby presence of Planet X, I continue to use ZetaTalk, but I am no longer a ZetaTalk Junkie. In this first issue in 3½ years, I thought it would be best to re-introduce my early years and some of the difficulties I faced (a one-time piece). Some of the stories in this re-launch are: the government of Egypt’s announcement to move it’s capital to high-ground, some aspects of the Zetas of ZetaTalk and it’s creator Nancy Lieder, some history of Planet X, the Planet X cover-up, the Germanwings air disaster, some exposé of Nasa goings-on and conclude with my commentary. Download the newsletter at DropBox.com. Read online or download at Scribd.com. For those with a Facebook account download here. Within the newsletter is my email for subscribing to the distribution list. This entry was posted in General, The Planet X NewsLetter (2015) and tagged "Planet X newsletter", chris thomas, earthchanges, nibiru, planet x newsletter (2105), PoleShift, zetas of zetatalk, Zetatalk, zetatalk prophesies. Bookmark the permalink. ← Putin’s land-grab of eastern Europe: His reasons why. https://www.youtube.com/watch?v=g6iWGFbiqgQ and then part 2 and part 3 15 min each video i think interesting …. I don’t support Marshal Masters (MM) as his material all points to his books and for some other major reasons. MM has “Nibiru” differentiated from “Nemesis”: both names mean “Planet X” from different cultures, Sumerian and Greek. Also his naming of the moons of Planet X are ridiculous on several levels. To have charted moon “orbits” about Planet X are first, impossible and second, the only people who could possibly do that are probably ISS astronauts and that info is so locked down. Also MM is saying that he has projected the position of Planet X as “behind the sun”, which it can’t be. Almost daily or weekly we see catches of a second sun, so it is not behind the sun. MM also doesn’t recognize (in his publications) that Earth is halted in orbit, Earth has been since late 2003. These are just some of the objections I have with his work. The reasons for his creativity, I have personal experience with: Nancy Lieder. She brutally protects her copyright over Zetatalk information, so there is no way MM can use ZetaTalk information without her consent, besides I have it on good authority the two don’t see eye-to-eye. So I can only assume, this is why MM makes this stuff up.